Garden centres have become a large part of the British retail landscape, becoming more like a 'day out' destination where customers can browse the aisles for anything from furniture to fairy lights, indulge in a spot of lunch as well as choosing their garden essentials. According to the Garden Centre Association (GCA) the term ‘garden centre’ was coined in the early 1960s. An American development, pioneered in the UK, they soon took off and centred around the idea that plants can be available all year round. The Horticultural Trades Association (HTA) claim that there are '22 million domestic gardens' in the UK and the garden centre market is worth approximately ‘£5 billion a year’ with UK adults spending around £1.5 billion on plants for their gardens each year. Describing it as a ‘buoyant and growing market’ with ‘good growth in the last 10-15 years’ the HTA put its success down to a number of socio-economic changes. They list these changes as the rise in disposable income, influx of new builds and an increase in house ownership as the economy recovers. Changes in lifestyle have also played a big part, catering to the grow-your-own trend and a more economically aware and health conscious community. Like many retailing sectors, garden centre sales were greatly affected by the economic downturn, but the demand for the cheaper end items (seeds and bulbs) was resilient – spurring people to trade in more expensive hobbies and save money by growing their own vegetables. In a recovering but nonetheless damaged economic climate, many entrepreneurs are still struggling to keep their start-ups afloat. When buying rather than starting a business, your chances of success are immediately increased, the risk factor lowered and revenue is created from the first day. Buying any business takes careful consideration; if you are interested, make sure you look at it with a critical eye. Always negotiate and ensure you are satified that the agreed price is fair. If you are paying for goodwill ask a professional accountant to look through the accounts for the past three years – do you feel that they are in line with the asking price? Conduct due diligence checks before you sign anything. This will enable you to get a better picture of the forecasted returns through the projected financial statements. It will also establish why the business is for sale and expose any nasty hidden surprises if they exist – for example: liabilities, extra costs, legal issues, damaged client base, bad reputation etc. Location is essential. Make an estimation of the expected demand and look at the locality. In or near residential areas, or close to busy roads tend to be the most successful locations. Consider who your main competition will be. Will there be enough demand for your products as well as theirs? And will your prices be competitive enough? Garden centres are very likely to be seasonal with higher demand in the spring and summer months and bank holidays. Horticulture Weekly predicted British consumers to ‘spend well in excess of £30 million at garden centres in the run up to Easter’ and that ‘their weekly takings [could] rise by as much as 39 per cent against the average week’. Make sure you prepare for seasonal variations and stock rotations - most of your sales are likely to take place between March and June/July, with slower sales throughout autumn the winter. However, over the Christmas period trade may pick up, with people buying gifts, decorations and Christmas trees. Don't forget that your stock is alive and perishable! Take this into consideration and align stock to the level of demand to save on wastage. Quality control is also essential; make sure that your stock is healthy, weed free and well maintained, as poor plants will damage your reputation. Lots of garden centres now have a restaurant or café, farm shop or in-house florist. The HTA state that catering has become ‘an increasingly important part of garden centres … worth around £200m per year in terms of sales to consumers’. Think about your options - can you diversify your offering? are you going to allow other businesses to operate from your site on a concession basis? Will you allow separate businesses to rent space on your premises? Or are you, personally, going to branch out into different areas? Market research is key. Look at the customer demographic to try and establish their buying trends - think about who will buy your products and tailor your products accordingly. Try and identify the different types of housing in your area: are they mainly flats or houses; do they even have gardens? Your market research will enable you to estimate how many gardens are located in your local area and pre-empt the demand. Some garden centres also participate in trade sales offering trade customers a discounted price for buying in bulk. If you are planning to supply plants / products to landscape gardeners, local councils or other businesses, this could be something worth considering. Gardening has become one of the most popular leisure activities in the UK, popularised through TV, radio programmes, magazines and books. 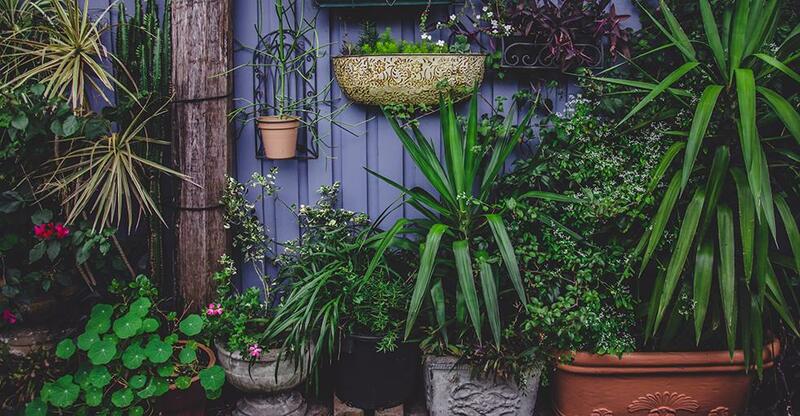 One of the most recent trends in the sector is the rising demand for eco-friendly products (water butts, composters, solar powered lights) as modern consumers become more environmentally aware. Recent years have also seen a grow-your-own revolution. Growing your own fruit and veg has never been more fashionable - suddenly it's cool to have a vegetable patch in your garden or head down to the allotment. When buying a pre-existing business re-branding is always a risky game as pre-existing customers are familiar with a particular image. However if you feel the business' branding is outdated and deterring potential new custom, it could benefit from a face-lift. A healthier economic climate is on the horizon, the rise in new builds and the blossoming grow-your-own culture mean that it's a really good time to invest in a garden centre.